341 Commonwealth is located on the north side of Commonwealth, between Hereford and Massachusetts Avenue, with 339 Commonwealth to the east and 343 Commonwealth to the west. 341 Commonwealth was designed by Kirby and Lewis, architects, and built in 1880-1881, one of three contiguous houses built by building contractor Asa Harden Caton for speculative sale on land owned by wallpaper merchant Charles Henry Hayden. 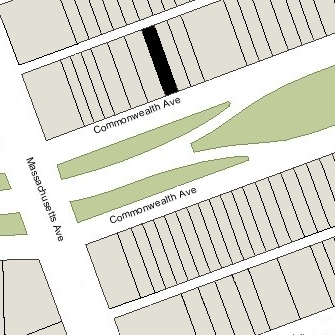 Click here for an index to the deeds for 341 Commonwealth, and click here for further information on the land on the north side of Commonwealth between Hereford and Massachusetts Avenue. The original building permit applications and final building inspection reports for 337-339-341 Commonwealth have not been located. 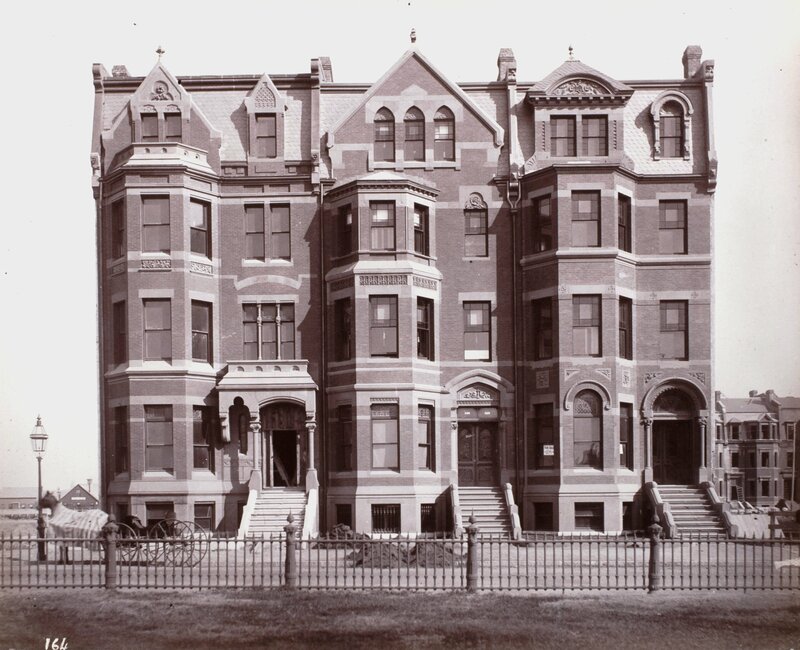 However, on April 15, 1880, the Boston Globe reported that the Building Department had granted permits to Asa H. Caton to build “two brick dwellings” at 337 and 339 Commonwealth. The article does not identify the architect. 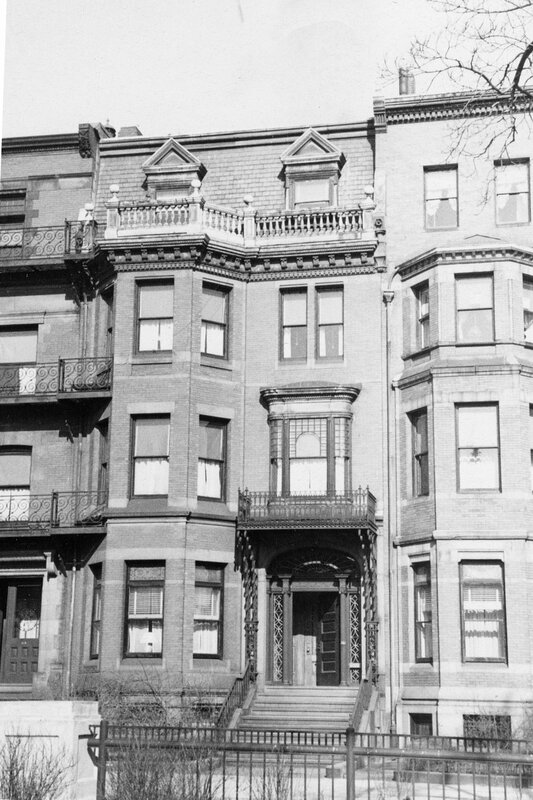 However, Bainbridge Bunting’s Houses of Boston’s Back Bay indicates that all three houses were designed by Kirby and Lewis. They also had designed three houses at 319–321–323 Commonwealth built in 1878-1880 by Asa Caton on land owned by Charles Hayden. On January 4, 1881, 341 Commonwealth was purchased from Charles Hayden by Nehemiah Webster Rice, a dealer in leather, hides, and wool. 337-341 Commonwealth (ca. 1881), photograph by Albert Levy; Ryerson and Burnham Libraries Book Collection, The Art Institute of Chicago (Digital file #000000_100709-17). In January of 1881, Nehemiah Webster Rice and his wife, Josephine (Emery) Rice, lived at 353 Beacon. 341 Commonwealth may have been the home of a Mr. Newell who was listed there in the 1882 and 1883 Blue Books, but not in the City Directories. By the 1883-1884 winter seasons, the Rices had made 341 Commonwealth their home. The Rices’ two children, Annie Tyler Rice and Charles G. Rice, a member of his father’s hide and wool firm, lived with them. Charles Rice married in October of 1890 to Anne S. Proctor and they moved to 469 Beacon. Nehemiah Rice died in December of 1911. Josephine Rice continued to live at 341 Commonwealth with their daughter, Annie. Josephine Rice died in 1925 and Annie Rice moved soon thereafter. 341 Commonwealth was not listed in the 1927-1931 Blue Books, and was shown as vacant in the 1930-1931 City Directories. On June 30, 1931, 341 Commonwealth was purchased from Annie (Proctor) Rice, the wife of Charles Rice, as conservator for her sister-in-law, Annie Tyler Rice, by the Garland School of Home Making (later to become Garland Junior College). That same month, it also acquired 343 Commonwealth. Both properties were shown as vacant (or were not listed) in the 1930-1933 City Directories, but had been converted into dormitories by 1934. In May of 1981, the Commonwealth College Trust filed for permission to convert 341 Commonwealth from a dormitory into six apartments, which it stated was the existing use. It subsequently abandoned the application. On June 12, 1981, Judith Schwartz converted 341 Commonwealth into six condominium units, the 341 Commonwealth Condominium. 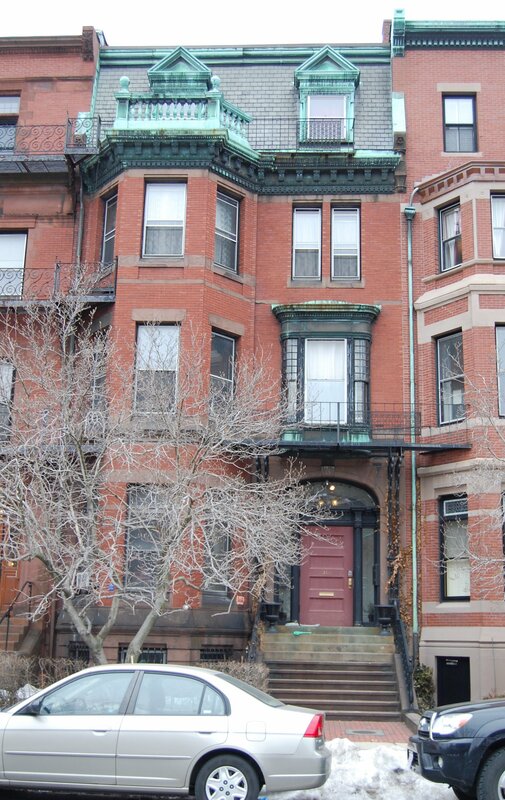 In February of 1985, the 341 Commonwealth Avenue Trust filed for (and subsequently received) permission to legalize the occupancy as six units.